The Colin Montgomerie digital golf scorer is pocket-sized and will record the scores for up to 4 players stroke-by-stroke for a full 18-hole round, so you’ll never need a pencil and scorecard again. The device has an auto shut-off feature and a great battery life and will clip onto your bag. The case is shock-resistant and boasts a clock and a digital thermometer that displays temperature in both ºC and ºF. for submitting product information about Colin Montgomerie Digital Golf Scorer We aim to answer all questions within 2-3 days. 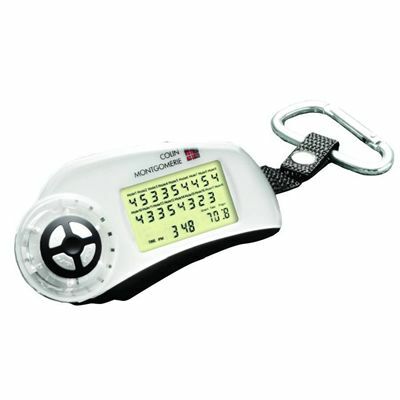 for submitting product information about Colin Montgomerie Digital Golf Scorer. We aim to answer all questions within 2-3 days. If you provided your name and email address, we will email you as soon as the answer is published. for submitting product review about Colin Montgomerie Digital Golf Scorer.